If you'd like the name(s) of your dog(s) to appear on the doghouse, please let me know what you call your cuties. Even if you don't want it personalized, tell me if your dog is a girl, a boy, or multiple dogs, so I can use the correct pronouns. Thanks! This is the dog's house and we are so grateful she lets us live here! 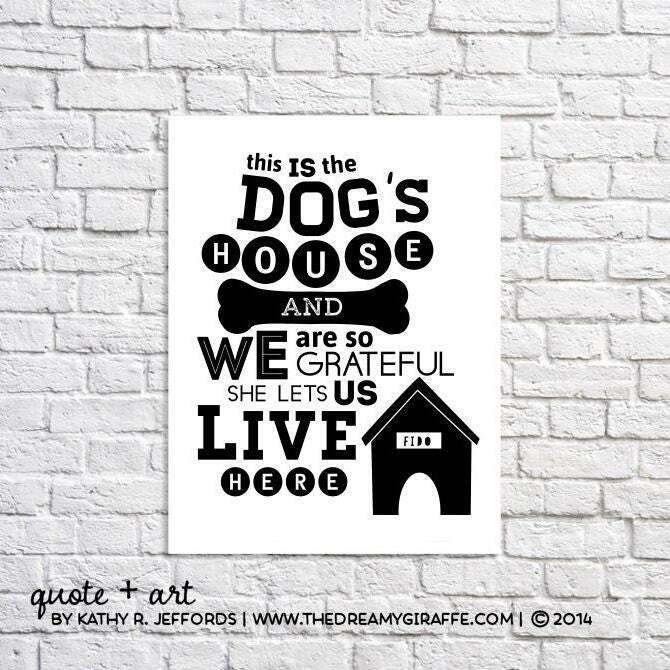 This typographic print features a quote I made up...but I think EVERY dog owner has felt this way at one time or another. This print is available with the text in the black, as shown, and nine additional color options.